To deliver IT performance, you need complete visibility. Riverbed Cascade offers a superior network performance management solution for discovering, monitoring and troubleshooting your network and your critical applications. Now you can resolve performance problems before they impact the business, while lowering your IT management costs. 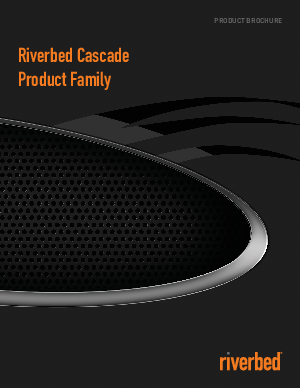 Cascade has an elegant and simple design that deploys easily in complex environments and provides true integration across the Cascade family. This cleaner architecture means superior visibility, management and troubleshooting, saving our customers both capex and opex. According to IDC, Cascade customers typically experience an 83% reduction in mean time to resolution (MTTR).